Simply select your category or subcategory, them select the product you require. You can then purchase Katrin paper towels, dispensers, wipes etc online using our secure order processing section..
How can I set up an account with Safechem? You can then purchase Katrin paper towels, dispensers, wipes etc online on this site using our secure order processing section..
Can I order by credit card? Yes you can use either Visa or Mastercard using our secure and encrypted payment syatem . Where can I get product information/specs? All product information can be found on the product itself or by contacting us directly for information. Why spend money on towels of a higher quality? If a hand towel of a higher quality is used, fewer sheets are needed to achieve the desired result. Thus a lower volume is consumed and there is less waste. The need for cleaning will be lower, which in turn leads to lower labour costs. As a bonus, using higher quality leads to more satisfied users. Why should I use Katrin products from Safechem? Can using Katrin products really increase productivity? The most important factor for the cleaning of machines and tools is productivity, which definitely can be increased with the help of a wipe that cleans faster. When using Katrin products from Safechem the cleaning goes faster and fewer sheets are needed to achieve the desired result. So, yes, using Katrin products can really increase productivity. What is the story behind the Katrin brand? The Katrin range has been given a structure that is easier to understand than in the past and that also has a clear price/quality ratio which means the products are easier to buy. Katrin Plus stands for a superior range of systems of the highest quality from the most luxurious tissue to first-class industrial paper wipers and high quality napkins. Products labelled Katrin Classic provide good performance since Katrin Classic represents a range of efficient, high-quality systems from comfortable tissue to tough wipers and attractive napkins. Katrin Basic meets your basic demands and consists of a standard range of reliable tissue, wipers and napkins at an affordable price. Why aren't Katrin dispensers divided into Plus, Classic and Basic brands? All Katrin dispensers are of Katrin Plus quality. In addition, Katrin dispensers house the refills of all three sub-brands -Katrin Basic, Katrin Classic and Katrin Plus products - which means that no distinction is made between the dispensers. Does Katrin from Safechem offer a viable alternative to other Brands? 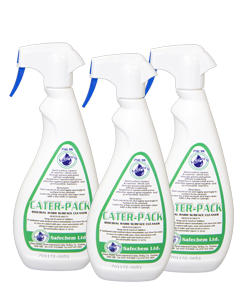 Katrin products from Safechem offer a competitive and quality alternative to products available from SCA Hygiene, Kimberly Clark, and others. Katrin have equivalent products to brands such as Tork, Wypall, Scott, Kleenex, Hostess and other available brands.